Unfold the pastry sheet on a lightly floured surface. Roll the pastry sheet into a 14-inch square. Cut off the corners to make a circle. Spread the preserves on top of the brie, and sprinkle the almonds and cranberries on top. 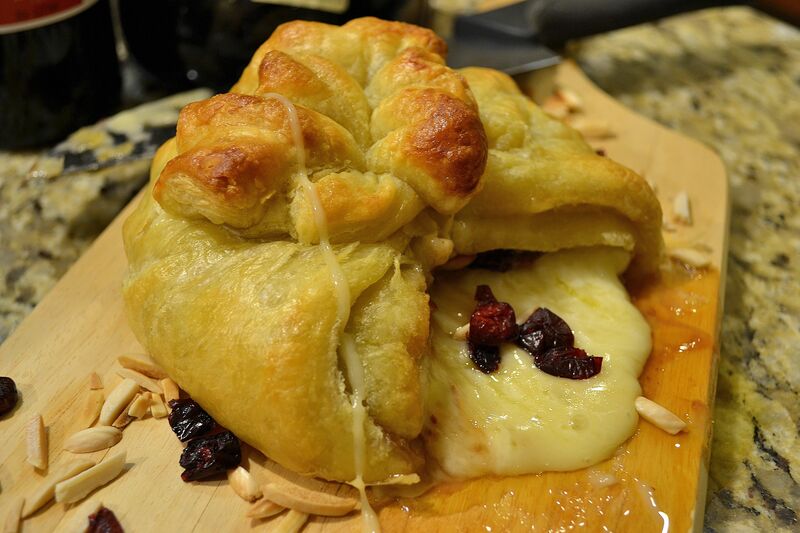 Starting from one end, fold the pastry up and around the cheese, creasing it to adjust to the curve. 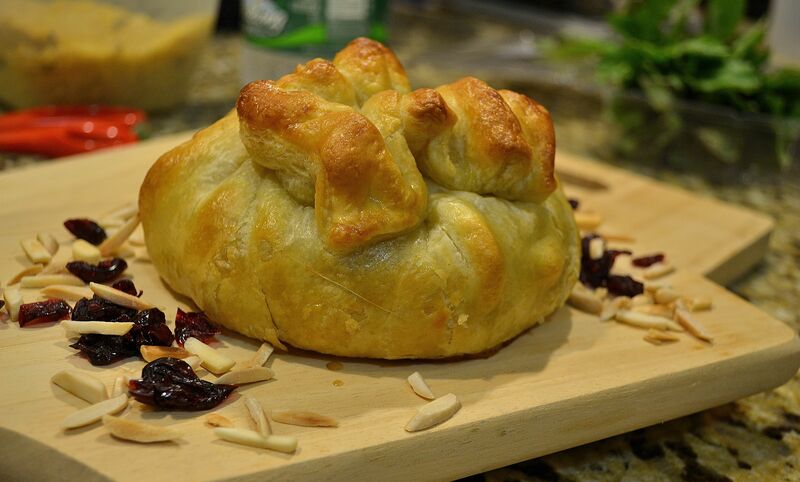 Gather leftover pastry into a “knot”, twisting it to seal. Tie with cooking twine and trim the ends. Brush the edges and top of the pastry with the egg mixture. Bake for 20 minutes or until the pastry is golden brown. Let stand for at least 30 minutes; serve with the crackers and/or bread.